Mrs. Joy M. Rodrigues (nee Ward, formerly Wester), a longtime resident of Many, died Dec. 30, 2018. She was 72. Born in Lotus, La., in 1946, she is preceded in death by her parents, Carlis and Eula B. (Booty) Ward; sisters, Inez Harwell and Shirley Ward; and brother, John Ward. She is survived by her loving husband, Mr. Ernest Rodrigues Jr. of Many; two sons, Col. Sean Wester, USMC, and wife Col. (Retired) Loretta Vandenberg of Provencal, and Jason Wester and wife Nina Salinas of San Antonio, Texas; siblings, James Ward and wife Shirley Nell of Kurthwood, La., Lee Allen Ward and wife Christine of Cloutierville, Rosa Lee DeMille and husband John of Provencal, Robert Ward and wife Frances of Big Sandy, Texas, Peggy Sue Lindsey of Provencal and Michael Ward of Provencal; step-children, Sharon Lunbeck of Houston, Kayla and Larry Hataway of Many, Steven and Kim Rodrigues of Many and Ramona Mason of Lucedale, Miss. ; and has nine beloved grandchildren who were the apples of her eye, Krystal, Kelsea, Kourtney, Kyla, Hayley, Jackson, Eli, Evan and Acian Wester. 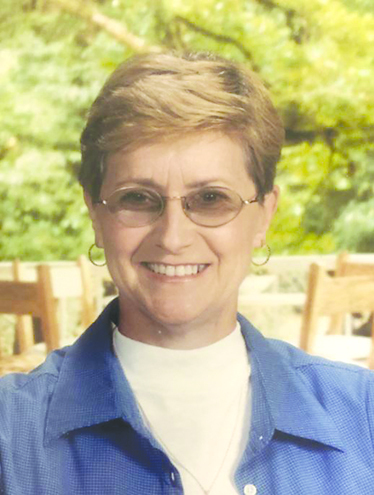 Mrs. Rodrigues retired from Negreet Elementary School in 2015 where she was the pre-K teacher for more than 15 years. Prior to that, she taught fourth grade at Polk Elementary in Leesville. She loved children and teaching and continued to teach Sunday school at Alford Heights Baptist Church after retirement. Active in her church, she also participated in the Women on Mission and other programs. She loved to sing and was a member of the church choir. She was strong in her faith and a pillar of her church community. Outside of her church, she was an enthusiastic gardener, traveler and an expert jelly and jam maker. She was loved by her family, her students and her friends and will be sorely missed. The viewing will be Jan. 2 from 5-9 p.m. at Warren Meadows Funeral Home, 355 South Capitol St., Many. Funeral services will be Jan. 3 at 10 a.m. at Alford Heights Baptist Church, 235 Byles St., Many.